Hello! Hello! 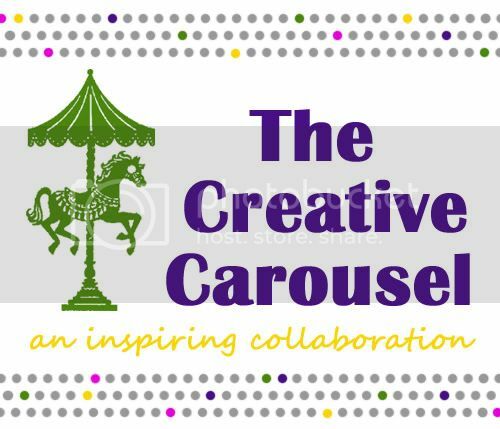 Are you guys ready for another ride on the Creative Carousel? In case this is the first time you have seen this – This month is Homemade for the Holidays! You can enter to win the amazing prize packages we have going on over at Creations by Kara – and if you do know what’s going on -have you guys been enjoying the week so far? We have had some really fun tutorials – Lil’ Luna was before me so if you didn’t see her cute gift wrap idea – check it out too! First: I went to Hobby Lobby and bought a bunch of stickers I knew he would love – they were $1.99 but I got them all 50% off – I used 5 different sets so I spent about $5. Second: I headed out to my scrap wood pile and found some pieces of wood I could cut up and make blocks from – then I sanded them down and made them super smooth. Third: I layed out all the blocks I had cut and sanded and started putting my stickers on. Fourth: When I had all my stickers on blocks, I took them all out and gave them a good spray of Krylon Matte Finish. I let them all dry and was finished! I love the fun little sets that he will be able to play with. It is going to be so fun when he opens them on Christmas and loves them (he found the stickers and loved those so I can only imagine how magical our Christmas will be!). What projects are you guys working on for Christmas? It’s never too early to start! Make sure you ride on by Oopsey Daisy tomorrow for some more handmade goodness! What a great idea!! Economical too! Love it! Wow, that is an awesome idea. I have a lot of nieces and nephews and they would love this! These are awesome Amanda! I love how they look. And so fun that you can customize them for the recipient- this would be a fun baby shower gift too! Those are so much fun! I love how you made different themed sets. My boys would have loved these when they were little! SUCH a great idea... I know my Little Man would LOVE these! I may have to make my own set! My son would LOVE blocks like this! Thank you for the awesome idea! So Cute! Thanks for posting! These are FANTASTIC - thanks so much for sharing exactly how you made them. Chinese Lanterns for the Babe! Items of Business and Some Winners! !